So today I wanted to share some really exciting news that I just found out today. If you haven’t already pieced it together by the pictures above I’m going to New York next Christmas for 10 days. 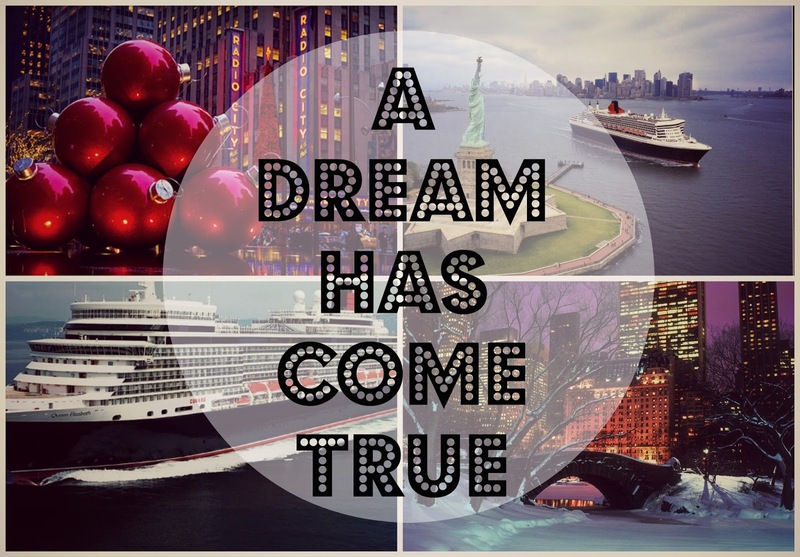 This will be a 7 nights cruise from Southampton to New York on the Queen Elizabeth 2 and then 4 nights spent in New York. I am beyond excited as this has been a dream of mine for a long time. I’ve always loved the thought of New York as one of my all time favourite programs CSI NY is filmed there. It’s going to be 100x better than if I was to go any other time of the year as I’m also a lover of Christmas which will make it extra magical and special. I can’t wait to taste some of New York’s finest food, shop in times square and visit some of the iconic places. "Review | Zoella Beauty Soak Opera"
"One Year Anniversary of Asia Jade ♡"